In time with the Detroit auto show, Chinese automaker Geely announced its first electric car planned to go on sale worldwide. Called the GE11, Geely's first global electric car is a sedan about the size of a Honda Civic or Insight, with a similar sloping fastback design. The company did not specify a battery size or range, but said that the car will have a 174-horsepower electric motor sourced from CATL. 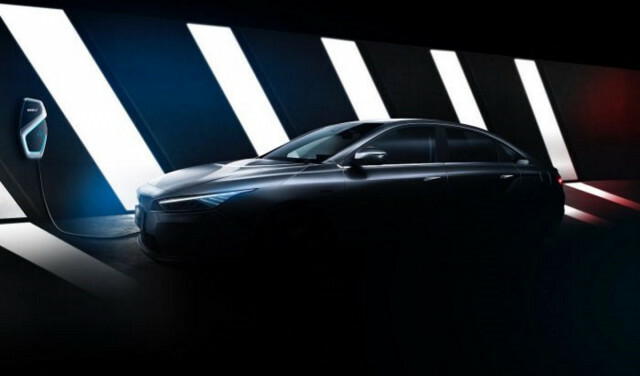 Beyond that the company's announcement offers very few technical specs but focuses on the car's aerodynamic drag coefficient of 0.238, among the lowest of any production car. In addition to the sloping fast-back, which eases airflow off the rear of the car, the GE11 has flush door handles like the Tesla Model S that don't appear until the driver approaches the car. There is no grille, and the headlights wrap all the way around to the front fenders. Geely has never sold a car worldwide, but the company is no stranger to electric cars. It bought Volvo from Ford in 2010 for $1.8 billion. Since then, Volvo has announced that it will begin converting all of its cars to hybrid or electric power, has launched three plug-in hybrids, and plans to introduce its first fully electric car, the Polestar 2 electric SUV, in 2020, followed by the related first model from Volvo's eponymous brand, an electric XC40 SUV in 2021. Geely did not bring the GE11 to the Detroit auto show but reveled it at a private event in Hangzhou, China. In the Chinese market, it will replace the Emgrand electric sedan, which went on sale in 2015. Although Geely says the GE11 will go on sale worldwide, and that it will be "unveiled in early 2019," it's not clear how soon it might actually go on sale. Geely has made no noise up until now about certifying the car for sale in the U.S. With such scant technical details and no firm certification plans, it's likely that the car's planned debut in the second quarter of this year will be of a more fully fledged concept or prototype.